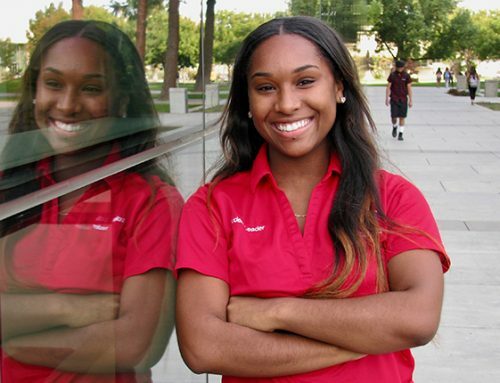 Seven of Fresno State’s schools and colleges, along with the Division of Student Affairs, selected an outstanding student to honor as its Dean’s Graduate Medalist for the class of 2017. The deans selected an undergraduate and graduate medalist based on academic excellence, community involvement and other achievements. 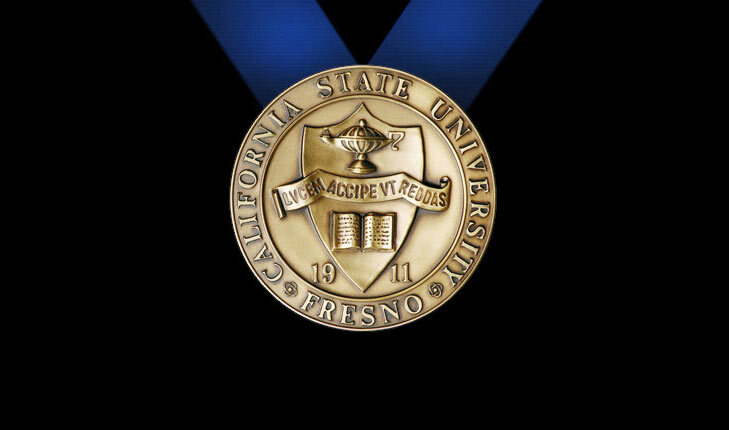 One medalist will be announced as the University Graduate Medal winner at the 106th commencement at 9:30 am. Saturday, May 20, at the Save Mart Center at Fresno State. 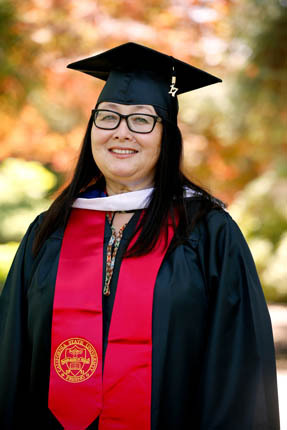 Jamie Nakagawa Boley, of Visalia, completed her M.A. in Art with a 3.84 GPA. Boley’s path to an education was not easy: she faced struggles and sacrifices along the way. But today the mixed-media artist uses her art and experience to make a difference in the Central Valley. Inspired by the drought and environment, her landscapes are designed to raise questions about life, memory and spirituality. Boley collaborated to bring Native American artist James Luna to campus in 2016, and helped to create “Winyan Omnicha, The Gathering of the Women (the Shawl Project),” a collaboration between Lakota Native American elders, students and the community. In addition to teaching drawing at Fresno State, she led arts programs with Arts Visalia and the Owens Valley Career Development Center. She was also contracted by Sequoia National Park management to create six paintings and will continue her studies as an M.F.A. student at the School of Art Institute of Chicago, where she was awarded their dean’s scholarship. Ben Armfield, of Grand Rapids, MI, completed his M.B.A. with a GPA of 3.9. 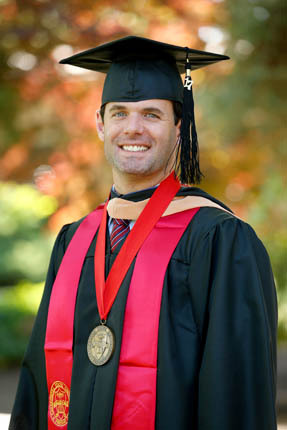 Armfield currently serves as vice president of operations at Fresno Heart and Surgical Hospital, balancing a busy professional schedule with his graduate work as part of the Executive M.B.A. program. Armfield utilized the academic program to develop a business intelligence tool that integrates data and analytics to provide data-driven support in the decision making process. Created as part of a group project in an Information Systems course, the use of the tool has resulted in increased operational efficiency and improved departmental productivity. “Moving forward, I see myself continuing in the healthcare field with a dedicated focus on expanding access to care for patients in the Valley, as well as the development and retention of healthcare leaders in our community.” Armfield is also active in his community, working with a number of non-profit healthcare organizations in Fresno. 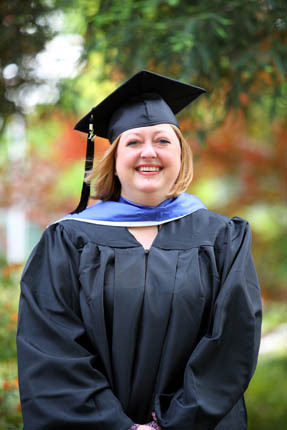 Suzanne Brandl, of Clovis, completed her M.A. in Early Childhood Education with a GPA of 4.0. After working as an elementary school teacher, Brandl created a private preschool, which she has managed while attending graduate school, working as a student assistant, and raising her four children. “I continued to strive to exceed the expectations of my professors. I worked hard to excel in every class and pushed myself to reach beyond what was required to achieve my fullest potential,” she says. Passionate about literacy, Brandl engaged in action-research projects that demonstrated the positive effects of writing on a child’s emerging literacy. 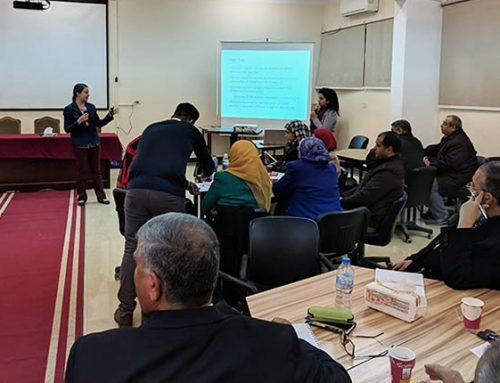 Brandl also developed an undergraduate Liberal Studies course as her master’s project, focused on cognitive, social, emotional and physical development from birth through adolescence and how developmental issues relate to teaching. Her goal is to teach child development and work with student teachers, in order to give back to the field that has enriched her life. Vidya Gopala, of Bangalore, India, completed his M.S. in Engineering, Computer Engineering option, with a GPA of 3.9. 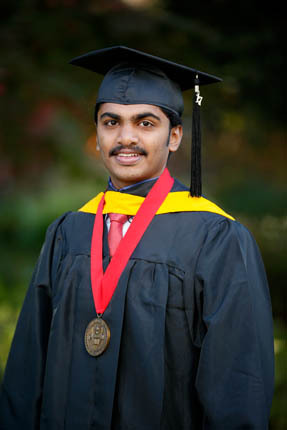 Gopala came to the United States to study at Fresno State and is the first in his family to pursue graduate school. Drawn to electronics from a young age, Gopala has worked on research projects with several faculty members, completing projects in the area of integrated circuits and systems. His research work in Very Large Scale Integrated circuits and digital systems testing and verification resulted in two peer reviewed publications, with another in the works. Gopala served as a peer mentor to fellow graduate students, instructional student assistant, supplementary instruction leader, and research assistant, experiences he says have broadened his thinking and problem solving skills. “Working as a tutor, providing guidance and clarifying doubts to students has helped me share my knowledge with fellow engineers. I see each student coming up with their own way of approach in solving a problem, which expands my expertise,” he says. 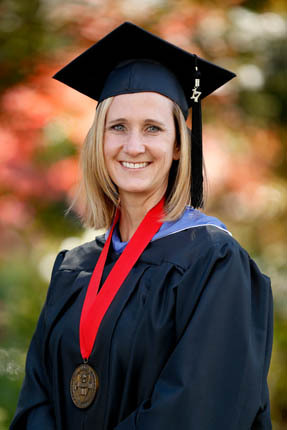 Katy Hogue, of Fresno, completed her M.A. in History with a GPA of 4.0. In her second semester of graduate school, Hogue began a life-changing internship with the Fresno Historical Society. 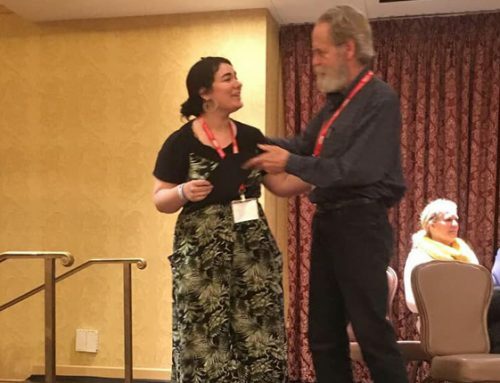 “I found my passion doing the important work of collecting, preserving and interpreting central San Joaquin Valley history.” That experience, along with research into the Great Diamond Hoax of 1872, which was presented at multiple symposiums, helped prepare her for a career in public history and archive work. She created an exhibit for Fresno City Hall about an unusual paddlewheel voyage on the San Joaquin River. The research from that project was the basis for an article in the Fresno Historical Society’s journal. Her internship with that organization ultimately led to full-time employment. In her current role as collections manager, Hogue wants to continue to partner with Fresno State, working with faculty on public history projects and mentoring graduate interns from the Department of History. 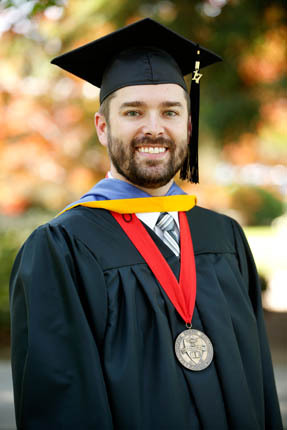 Sean Hunt, of Visalia, completed his M.S. in Nursing – Primary Care/Nurse Practitioner, Pediatric, with a 3.9 GPA. Throughout graduate school, Hunt worked full-time as a staff nurse on the pediatric oncology unit at Valley Children’s Hospital, all while completing his clinical rotations and serving his greatest duty as a husband and father. Young children in medically fragile conditions inspired Hunt’s academic research. He found that there is a positive impact on improving access to health care and decreasing hospitalizations for this population. “The heavy and expensive burden of caring for medically fragile children does not only have to rest on the backs and shoulders of parents. There may not be an army of support but there are a dedicated few of us who will not stop looking for ways to improve the quality of life for all children,” he says. Hunt also volunteers as a camp nurse and is fundraising for Trillium Kids, a nonprofit to support children with life-threatening conditions. Read more. Jaime A. Maturino, of El Paso, Tex., completed his M.S. in Counseling – Student Affairs and College Counseling, with a GPA of 4.0. Growing up in a home where food and other resources were scarce, Maturino was determined to beat the odds. 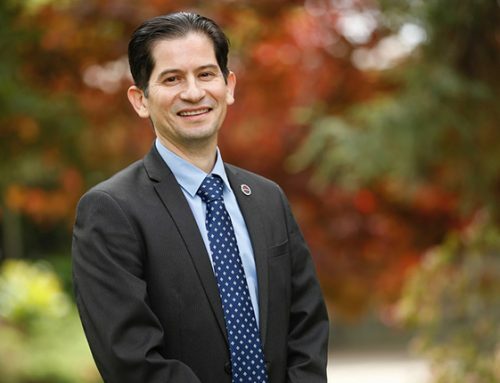 He came to Fresno State as an undergraduate student who struggled to find his niche, an experience that inspired Maturino’s dedication to help students develop a sense of belonging. As a graduate student, Maturino has served as a peer academic counselor, graduate advisor, and as a resident director with University Courtyard, a role that Maturino says brought him full circle. “When I first began my studies as an undergraduate, I lived in Baker Hall. I knew first-hand what it was like to be new to campus and not know anybody,” Maturino says. “My goal is to continue impacting the lives of others by sharing with them that anything is possible if they set their mind to it.” Maturino has accepted a position as residence director at the University of Nebraska – Lincoln. 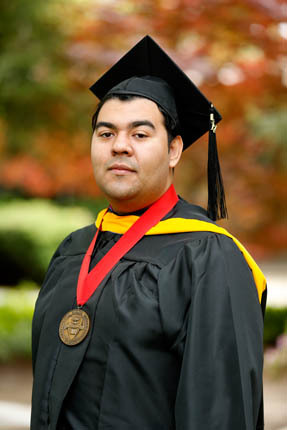 Carlos Moreno, of Fresno, completed his M.S. in Computer Science with a GPA of 4.0. 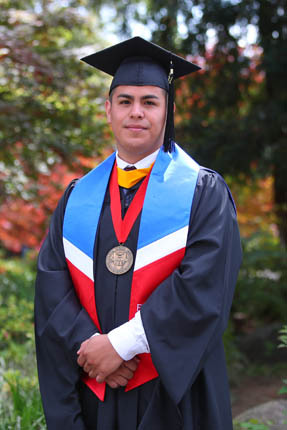 After graduating from Fresno State as a member of the Smittcamp Family Honors College, Moreno enrolled as a graduate student with a research focus on real-time streaming of Kinect based point cloud data. That research has already resulted in three published journal articles and presentations at multiple conferences. Known in his department as compassionate and caring, Moreno gives back to his college, campus and the community. He serves as a camp instructor in the department’s summer exploration program for middle and high school students and as a teaching associate helping undergraduate students. 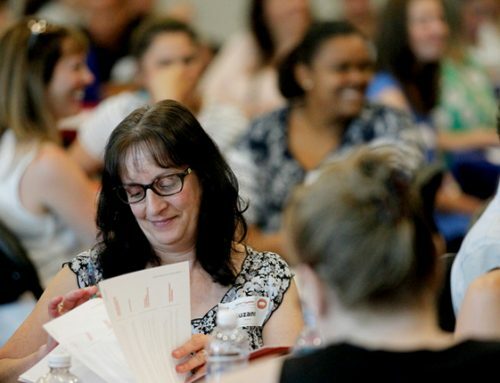 “I was able to connect with the students on a more personal level. This sense of comfort fostered a learning environment in the classroom that allowed students to ask more questions and explore their ideas and solutions,” he says. Moreno is also a member of Fresno State’s Symphony Orchestra. 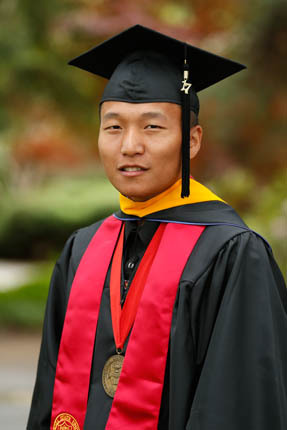 Touyee Thao, of Fresno, completed his M.S. in Plant Science with a GPA of 4.0. Growing up as one of 10 siblings from an immigrant family, Thao was fascinated by agriculture from an early age. His academic research on how to optimize irrigation scheduling is directly informed by the critical challenge of water management in California. This work is gaining widespread attention; Thao has presented at numerous local, national and international conferences. Beyond academics, Thao is also passionate about giving back. In addition to helping with college events and the Future Farmers of America, he volunteers an average of 12 hours a week in the Hmong community, serving as a mentor to youth. “My next goal is to share my agricultural knowledge gained at Fresno State with the many South East Asian farmers currently seeking assistance to improve their soil and water conservation practices,” he said. See photos of the University’s two top students and other Class of 2017 Commencement candids at bit.ly/FS-Commt17FBpix.